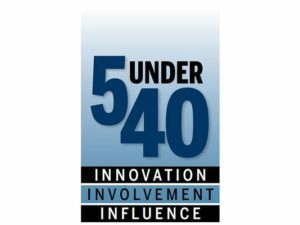 On January 15, Joe Francis received a 5 under 40 Award from Times Media. Each year, the program recognizes the next generation of business leaders in Central Minnesota. Joe is the youngest of the five local business leaders being recognized for the impact they’re making in both their career and community–more specifically, for their demonstrated ability to collaborate with other generations to innovate, ideate and improve products, services and the workplace. Two reporters visited Central McGowan to interview Joe. Here’s a link to the article and video of the interview. The event took place 4:30 pm to 7:15 pm at the Regency Plaza in St. Cloud, MN.